Are you stumped about what you should draw? 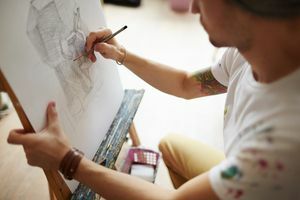 This short quiz will evaluate your interests and abilities to give you a suggestion or your next art project. We will ask you some questions about your interests and your drawing abilities and experiences. Then, we will suggest what you should try to draw next. If you are not sure what to sketch next, this quiz is for you. We will use the answers you give about your interests and abilities to recommend the subject of your next drawing.